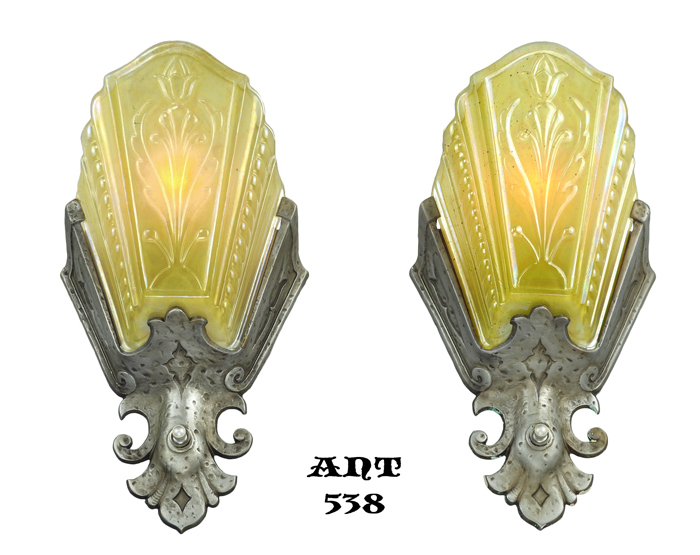 A nice pair of Art Deco sconces made by Virden, and pictured in their catalog of 1931. Virden called this series: The Berkeley Line. 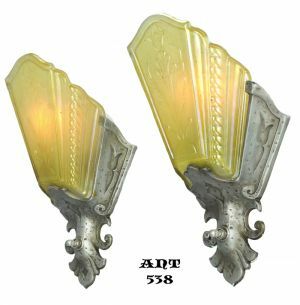 There were chandeliers with various support types, but only one wall sconce, and it was this one. It was stock numbered 1401. 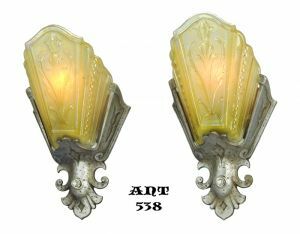 This pair of nice sconces are finished in an Art & Crafts style of pewter, but have an air of Gothic to them while still remaining Deco. This design crossed a few decorative motifs. 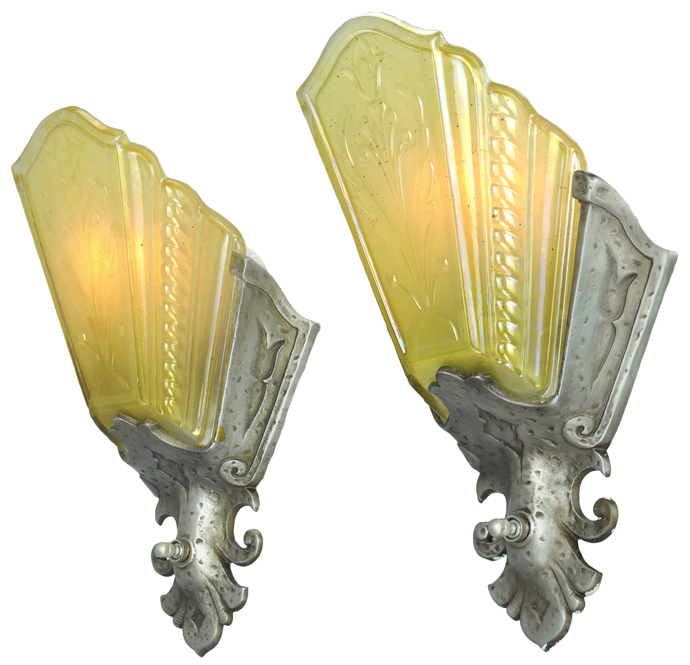 The shades are amber, and in good...remarkable...condition. Height: 11" overall, measured from the top of the shade to the bottom of the backplate. These sconces have been completely re-wired in our UL shop with new sockets and rotary switches. The sockets can easily handle 100 watts, but we recommend a limit of 60 - 65 watts if incandescent bulbs are to be used. This is to protect the slip shades from excessive heat. Greater light output can be obtained by using energy efficient LED or compact fluorescent light bulbs. These types of light bulbs operate at cooler temperatures, and do not emit as much heat as incandescent. $750.00 for the complete UL re-wired pair of antique sconces and amber shades...plus shipping.